November has been National Adoption Month, and all month long I've been thinking about what I want to post on here about this topic that is very near and dear to my heart. It's the last day of November, so I thought it would be fitting to close out the month with a post on adoption. I have so much in my heart that I want to say, afterall, all four of my kids are adopted. But I will spare you, and just hit on a few of the things I wanted to say. I'm not going to walk everybody through the process of how to adopt. There are many resources on that. The point of this post is to encourage those considering adoption or currently walking through adoption. After being married for about a year, my husband and I decided it was time to have kids. But over the next year, we began to discover that have children biologically may not be in God's plans. After visits to the doctor and much prayer, we decided to adopt. I think for a lot of people, adoption is kind of the "last resort." But for us, it was the first thing we considered. I, in particular, have always had a heart that is overwhelmed by the desire to help the hurting of this world. We thought that through adoption, we could minister to a hurting birth mother who had chosen life instead of abortion. And we could also provide a loving home for a child. 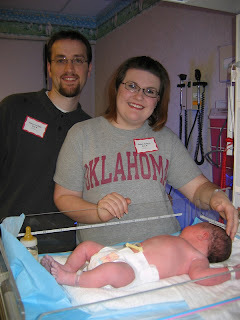 So, we started the adoption process, and pretty much 9 months to the day after we started the whole application, we held little Isabella in our arms at the hospital. Our lives have forever changed since we brought that beautiful doll into our family. When Isabella was about 9 months old, we were challenged at church to not just say that we were pro-life, but to put actions behind it. My husband and I, after much prayer and talking, felt that God was leading us to adopt older kids. Although in the back of my heart I had always wanted to adopt older kids, I had never really thought it would happen. But the Lord called us very strongly to show the world that every kid has worth and value because they are created by God. So, we got our homestudy done, and a week after we sent our application in to the agency, we got our three oldest kids. Our lives have been turned upside down we the addition of the three oldest ones, and while it was more than chaotic at first, we have developed a deep love for the kiddos, and have really enjoyed seeing how God is working in their lives. So, both of our adoptions have been very different. The adoptions were motivated by different things, and the processes were both very different. But I thank God for my kids, and we can't wait to see what God has in store for our very unique family. Adoption looks different for everybody. Whether you do a private adoption, a DHS adoption, or international. There are loads of paperwork, and it feels like you have to reveal every little part of your life to a stranger in order to have a child placed in your home. If you are considering adoption, I want to encourage you that while it seems discouraging to have to go through such a long and tedious process just to get a child, it is a season that will pass, and soon you will have a beautiful child to raise as your own. It is a sacrifice financially, emotionally, and with time. 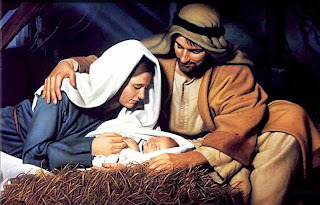 But it is a model on a small scale of the tremendous love and sacrifice of Christ so we could be adopted as God's children. Maybe some of you are really longing to be able to adopt, but there is something standing in the way. Maybe you don't have the money to do it right now (although there are financial resources out there if you dig around, afterall, all money is God's!). Maybe it is not a good time for your family. Or maybe you don't meet all the requirements yet (age, years of marriage, etc.). When you really want to add on to your family through adoption, but God seems to have you in a holding pattern, it is hard. I know. I've been there before, and I am there right now. Right now, we'd like to add to our family through adoption, but financially it just doesn't seem to be the right time. We know that if God wants us to adopt, he will have to open the doors financially and give us the green light. But we seem to be on hold right now. So, what are we to do?! Well, for me, my heart is aching to adopt one (or two or five!) of these beautiful little ones. I sit at the computer and weep when I see their faces and read their heart wrenching stories. My husband knows how much it hurts me to want so desperately to save these kids and be powerless. So, he wisely suggested that I print off their names and faces, and then spend time praying over each of them each day. So that's what I have started to do. I may not be able to do anything right now except pray, and that is what I must be faithful to do. Maybe you've seen an older child that you wish you could adopt. Pray for them. Pray that God would burden the hearts of people all over this world to give loving homes to these beautiful children. And pray that God will open the doors to use you to adopt as well. That's the best we can do when God has us waiting. Perhaps your children are grown and out of the house, and you don't want to adopt more. Or perhaps you have 10 kids already. Let's face it, not everyone is called by God to adopt. And that's fine. But we are all called, as Christians, to take care of orphans--however that looks. For me, it undoubtedly is through adoption. But maybe for you, it is through giving money so others can adopt. Did you know that we were only able to adopt our three newest kids because the day before we got "the call" from the agency, someone sent us an anonymous donation of $4000?! Our adoption was made possible because someone obeyed God's calling of helping orphans by giving us money. Maybe you are supposed to start an orphanage. Or maybe you're supposed to start a ministry at your church. Who knows....it's different for everybody. But we're all supposed to be involved. Okay, so I know I must sound like a paid spokesman for My Memories Suite (the digital scrapbooking software.) In reality, I'm not paid...I'm just a huge fan and I want to spread the word about it. That's why I joined their Creative Team. 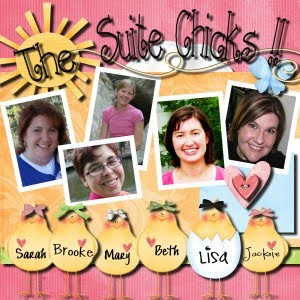 I use this blog as a means to get the word out, since I think digital scrapbooking goes well with the theme of my blog. 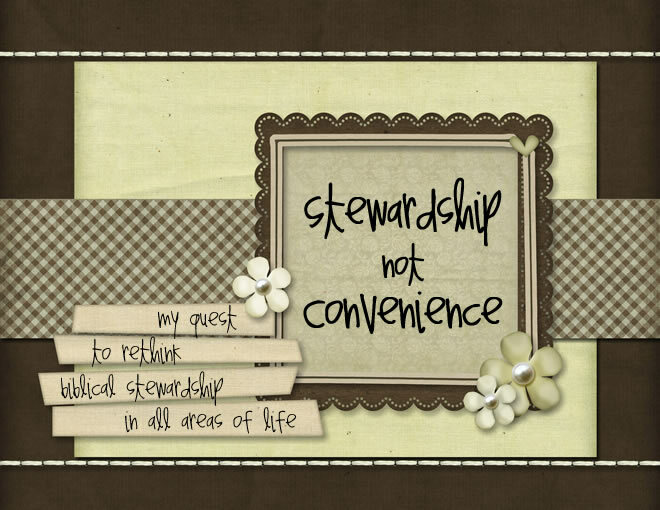 It is good stewardship of time and money...but it is convenient as well! That said, I want to remind all my readers that you can purchase the software for 25% off if you click on the banner on the right column on this blog. (You'll have to scroll down a little to see it.) By going to their website through that banner, you get the discount. But now, you can get an extra 10% off just in time for Christmas shopping. So, you can save 35% off an already good deal! Who doesn't love that?! Just enter the coupon code HOLIDAY10OFF when you check out. The coupon is good through the end of the year. If you have any questions about the program or purchasing the program, just leave me a comment and I'll get back to you! Congratulations to Emily (emand2@). She is the winner of custom designed Christmas cards! Note: This giveaway and the blog train is now closed. Please join us for the next train coming soon! 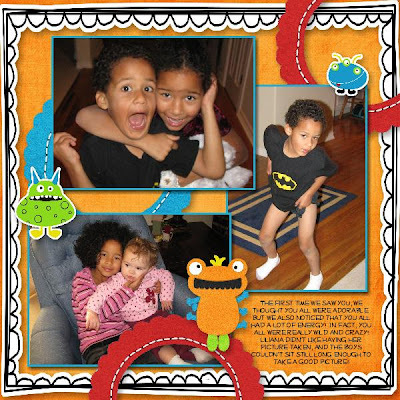 I am such a huge fan of digital scrapbooking. If you read my blog on a regular basis, you probably already know that! Digital scrapping can be quick and easy, very cost effective, and very clean, since you don't have any piles of paper and glue to clean up! It seems only appropriate that there is a holiday dedicated to this wonderful new world of scrapping. So Happy National Scrapbooking Day to you! You may be wondering at this point what the Christmas tree has to do with all this... Well, to celebrate, I have a fun giveaway for you. If YOUR name is drawn, I will personally design a Christmas card especially for you and your family! 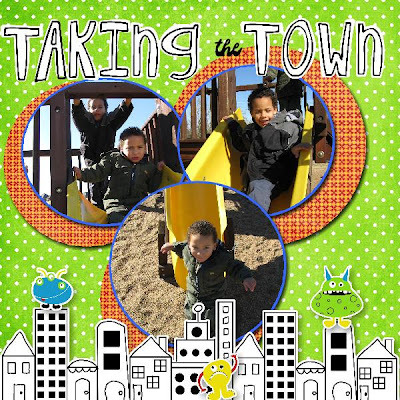 I will design a rectangular or square card with pictures that you supply, and I will send my design to you so you can have it printed off and ready in time for the holidays! I will also supply you with a coupon code that will allow you to receive discounted printing services for your cards. So, this year you can send all your friends and family a beautiful card that is uniquely YOURs! 1. Leave me a comment telling me what is your favorite thing about digital scrapbooking OR if you are not yet a digi scrapper, leave me a comment telling me what you think would be the best thing about digital scrapbooking. 3. Peruse my blog and let me know what topics (in keeping with the theme of my blog) that you would like to see me cover in the future. I will leave comments open all weekend, and I will draw a winner on Monday using random.org. Please make sure you leave me some way of contacting you in your comment, in case you should win! Good luck! And don't forget... If you don't yet own any digital scrapbooking software, you can receive a 20% discount on My Memories Suite by purchasing it through the banner in the right column on this blog. It's a fantastic deal for your money!! 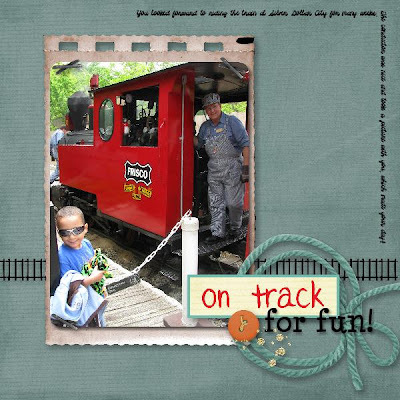 Now, head on over to Mary's blog by clicking here to continue on the blog train! I wanted to post my menu plan for our first week trying to live on a Food Stamp Allotment. Since the challenge was to go the whole month of October on a food stamp budget, I went ahead and started this week, since there are few days of October this week. Before I share my menu plan, I just wanted to say that it's not too late to join me. I know I have talked to several of you readers in person or on facebook. If you decide that you will join our family this month, please leave a comment on this blog so I will know for sure! Thanks! First of all, I have to say that this has been a real challenge for me already. I have a hard time trying to think of a good variety of recipes that would meet my family's varied dietary needs (my kids cannot have anything with any form of milk in it) as well as palates. I have found the web to be an invaluable resource as I planned this menu. However, I don't think that many people who are truly destitute have access to the internet whenever they wish. That's why I think it would be so wonderful to accumulate a bunch of very frugal, yet nourishing recipes to make into a cookbook of sorts that can be distributed at food banks and church food pantries. That said, if you encounter a great, cheap recipe that you would like to share for my "cookbook" project, please post it in the comments section. I am going to need to make homemade bread and several quarts of homemade chicken stock (which will also leave me with a lot of shredded, cooked chicken) this weekend. Tuesday: Tuesdays are always rushed around dinner time, so something in the crockpot is always in order. We're going to have goulash. For breakfasts, we'll be doing things like eggs, oatmeal and fruit. For lunches, we'll have simple sandwiches, fruits, veggies and leftovers. So, what is your family going to eat this week? Please remember to sign up if you wish to join me in the challenge, and also remember to post frugal, nourishing recipes--whether or not you will be joining me! Thanks! Okay, so there you have it. Week one's shopping trip was a success. Stay tuned for more throughout the week. And remember, you have a few days left to sign up to take part in this challenge with me. Would you consider joining my family in blessing needy people this month? I have to admit it, I'm a sucker for helping the hurting. When I see a hurt or scared dog, I want to bring it home and feed it. I have even been known to cry when I saw a bird with a broken wing try to get off of a fence, with no success. (Just ask my husband about that incident!) But don't get me wrong...when it comes to helping the hurting people of this world, I am no sucker. Yes, when I see a person hurting for whatever reason, it does pull at my heartstrings. But it is far more than that since people are created in the image of God. It is a calling that I have on my life--a calling to comfort those who are hurting, a calling to feed the poor, a calling to bandage the wounds of the brokenhearted. Guess what?! It's your calling, too, if you are a believer. 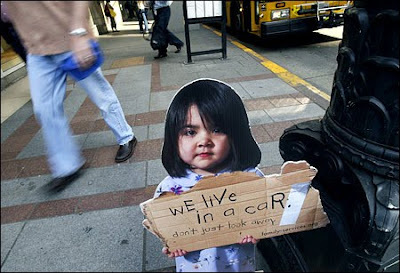 We are supposed to all take care of the poor, the widows and the orphans. You don't need a special calling on your life to do it. Matthew 25:35 says that when we serve the poor, or take care of those who need help, we are actually serving Jesus with our labors. "For I was hungry and you gave me something to eat, I was thirsty and you gave me something to drink, I was a stranger and you invited me in." So, while I believe that God does call certain people to serving the poor and needy, the widows, and the orphans at a different level (I think my husband and I have this calling on our lives), we don't need a special calling to help others out. As believers, it just comes out of our love for Jesus. I was recently reading an article about people who live on food stamps. When I saw the chart that highlighted the allotments per family member, I was shocked. Basically, it comes down to somewhere around $15 per person per week. I had no idea it was that low! Now, I am not saying this to start a political argument about whether we should have welfare or anything like that. What I am saying is that there are some genuinely suffering, hungry people out there. They need help, and they need the love and compassion of Jesus shared with them. Could your family live on a food stamp allotment? When I saw the maximum allotment for a family of 6 (my family's size), my first thought was "there's no way...my kids have food allergies and we try to eat as little processed food as possible." But I'm always up for a good challenge. So, here's my challenge! I am challenging myself and all of you readers to live on a food stamp budget for 1 month. Try to be as creative with your recipes as possible, and try to eat as healthy as possible. You could even blog about your journey. I will be blogging on this site regularly about our journey. And then, at the end of the month, consider donating the extra money from your grocery budget that you didn't use to a local food bank or church food pantry. While you're at it, consider printing up the recipes from the inexpensive but healthy meals you made, and give them to the food bank so they can pass them along to others. I think this would be a wonderful way to be able to empathize with the plight of the poor while still making a difference in others' lives. So, would you consider joining me for a month (or longer as you feel led)? Would you join me for the month of October in spending only a food stamp allotment on groceries and then donating the rest of your grocery budget to feed the poor? I know it's a big decision, but if you wish to join me, please leave a comment on this post so I can know who is joining me! I'm excited! To figure out your food stamp allotment for your family size, please click here. It will walk you through the instructions on finding how much money you would receive if you were on food stamps. If your income exceeds a certain amount, then you will find that you would actually get a negative number when figuring your allotment. So, our family used a fake income of $36,000 to figure it. So, we will be living in October with a grocery budget of $412. If you have questions about figuring your allotment, you can just leave a comment. Keep checking back on this blog regularly, as I will post at least weekly on the progress my family is making, and I will also post some recipes. Whenever I discover a product that really makes a true difference in my life, I'm eager to tell everyone about it. My newest "discovery" is a product called Sam-e. I have seen commercials around advertising for a certain brand of Sam-e for a while, and when I saw a video put out by Above Rubies that praised Sam-e, I thought it was time to look into what all the buzz was about. Sam-e is a nickname of sorts for a naturally occurring molecule found in all living things called S-Adenosylmethionine. (It sure is easier to say Sam-e!) This molecule has been shown to be quite useful in helping to ease depression and joint pain. And it appears to be promising in some other areas of treatment as well. Basically, it is supposed to help lift your mood, and it has the added benefit of relieving aches and pains as well as Tylenol or Motrin. Since I'm not a doctor or biochemist, I have a link here to read more about Sam-e. I have personally found Sam-e to be very useful in helping me with my mood. I am often very stressed out and worn down due to a variety of things such as children with special emotional needs and a very hectic schedule. I find that often it causes me to have a grumpy mood. I started using Sam-e to see if it would help to regulate my mood better. And I was very surprised to find that it, indeed, did work! 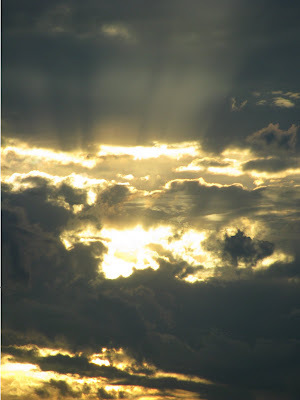 My husband noticed my mood was better in the evenings, and he has even taken it a couple of times. I have also taken Sam-e to regulate my mood when I have PMS. I am a complete emotional wreck the week before my cycle, and it really helps me out a lot. It even has the added benefit of pain relief, and it gets rid of my cramps as well. I also have pretty severe joint pain. I have multiple food allergies that went undiagnosed for quite some time, and the doctors think that the inflammation from the allergies is what has torn up my joints. When I am taking Sam-e, I feel so much better. The only thing I don't really like about it is that you have to take it on an empty stomach. I have a hard time remembering to take pills between meals, so it is hard to keep up with sometimes. 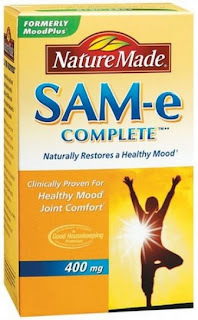 So, if you are looking for a natural option for pain relief or mood support, Sam-e could be worth it. I have to end with the disclaimer that I am not a physician, and obviously, you'll want to talk to your doctor before using it if you're on other meds or if you have medical conditions. Tell me... have any of you used Sam-e, and if so, did it help you? 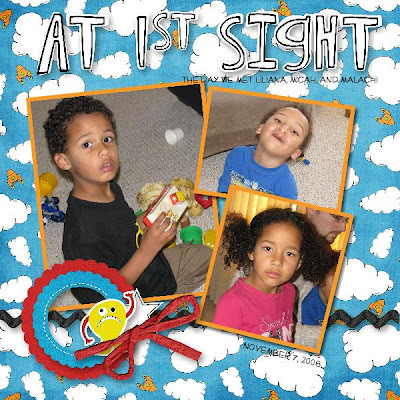 Above: This is one of my favorite pages because I totally love my kids' facial expressions! 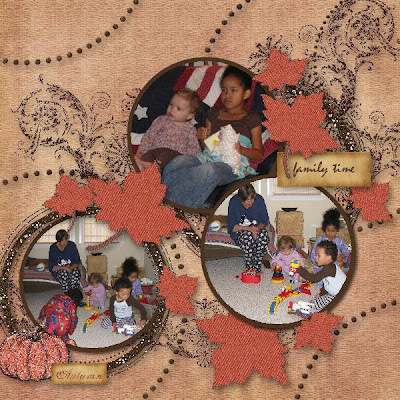 I used elements from the "Magical Memories" pack by Ettes & Company to create this page. I am so excited about my latest homemaking adventure!! As I've led my family's journey toward leading healthier lives and more self-sufficient living (by that I mean, not relying on commercially processed and mass produced items), I have become increasingly intrigued by the art of soap making. I say "intrigued" because it looks interesting and fun, but it has also been quite intimidating to me since it involves so much chemistry and math if you want to go above and beyond just a basic recipe. This video series has been most helpful for me as I have begun my soapy journey. I basically just followed her step by step. This website has some good recipes as well as ideas about colorings, scents, etc. should you want to venture past plain lye soap. 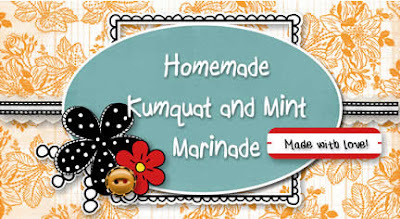 This is the website that I used for my recipe. I used the "Cocanolive II" recipe, since I already had those oils on hand. Note: the kind of soap I made is called "Cold Process" soap. So you can search the web for a good cold process recipe. There are lots of great websites with recipes out there! And there are even some recipes that help you make your own recipe and calculate the right ratio of lye to fats. 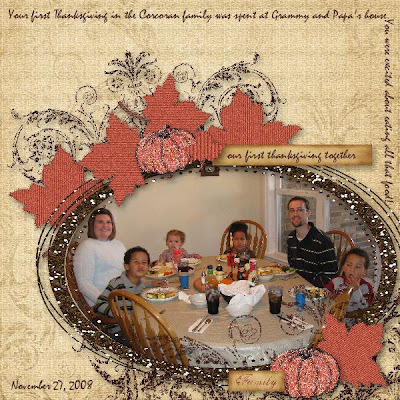 Last Christmas, when I first laid my hands on the My Memories Suite software (you know, the digital scrapbooking software that I totally love! ), I immediately realized that with all the great designs and the easy-to-use program, I would be able to find a million uses for the software. 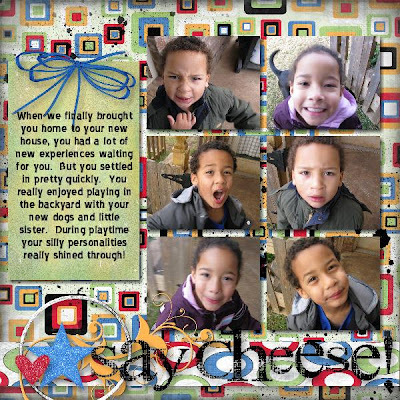 Sure, I love digital scrapbooking! But I also love all the other fabulous things I can do with the program. The possibilities are really endless. I've recently realized that there are a couple of big holidays are just right around the corner. I love giving and receiving truly thoughtful gifts, so I have really tried the past few years to make a lot of my gifts. If you are like me and like to make your own Christmas gifts, or if you just like to add a little bit of flair to your purchased gifts, the My Memories Suite software can really help with that! 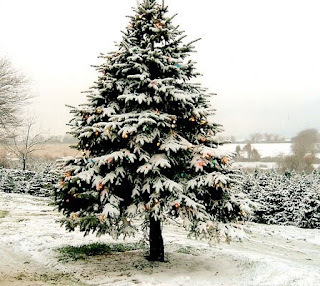 And I’d like to show you an idea that I’m going to use this Christmas. 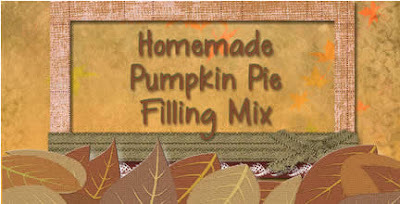 I enjoy canning foods—you know, things like pickles, jams, pumpkin pie mix, cider, pie fillings, etc. This year, I’m going to be giving homemade canned treats to all the friends, teachers, neighbors, coworkers, well…you get the picture. We’ve all seen the jars of different mixes at Christmas that have the pretty fabric and the bow on top. While those are pretty, I was trying to think of a way that I can package my goodies and express my personality as well. Then I thought, What about making fun labels?! I’ve made some jar labels to show you, and I’d have to say that making them was fun and incredibly fast. 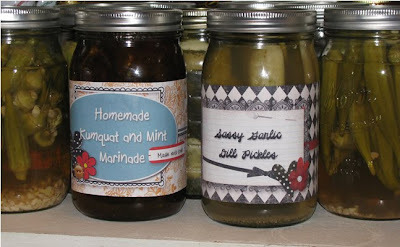 To make a jar label, simply create your design, print on regular printer paper, cut out, and glue to the jar. I used a glue stick, and that worked very well. (Hint: if you have an ink jet printer, consider spraying the paper with a light coating of clear spray paint to keep the ink from smearing with the glue.) In no time at all, the jars were transformed into cute gifts. And there’s really no need to measure anything, because you can cut it down to size. I printed my designs out as a 6x6” square, and they worked great for the quart sized jars. Here are some jar labels I made. 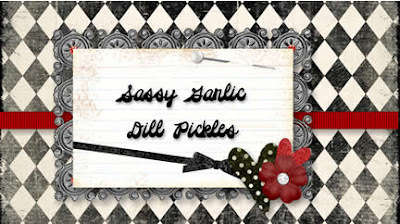 I used StoryRock’s “Twilight Fanpire” to create the pickle label, and I used Corina Nielson’s “Totally Eclectic” pack to create the marinade label. I enjoyed my jar labels so much, I realized that making labels for jars doesn’t have to be limited to Christmas only. 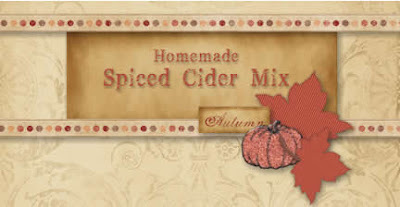 I got to thinking that a cute jar full of pumpkin pie mix or cider mix would make a great hostess gift at Thanksgiving or a fall party. So, there you have it….an easy and simple way to give your Christmas gifts some “oomph” and personality! It doesn’t have to end there, either. Think of all the other great things around your house that you can label with beautiful labels made with My Memories Suite! You could label not only jars, but gift boxes, kids’ toy containers, buckets, etc. You know how much I love digital scrapbooking, and how much I want everyone to have the opportunity to try it for themselves. As I keep saying, it is soooo much more economical than traditional scrapbooking, and I think it's even more fun! To get everyone off to a great start with Christmas crafting, I've got a couple of great offers to share with you! Go on over to the My Memories Suite blog (link on the right). There you will find this same blog post, but there will be a link to the free giveaway for the week. If you click on the My Memories Suite banner to the right, you can get 25% off the software. It's truly a great deal, and you can only get the discount by going through that link. Here's a special bonus for you: Now through September 30th you can enter in the promo code B2S10OFF and receive an additional 10% off. So if you click on the MMS link from my blog you get 25% off and then by adding the code you get an additional 10%. How great is that?! For this episode of Sensational Saturday, I'm just going to post some photos of things that have brought joy to my senses lately. That's all for now, folks! See you around for the next post! Today I read a post on my friends facebook page that listed all of her favorite household products. I thought that was such a great idea, because you get a real sense of what truly works for people and what doesn't. I also have to point out that everyone has their reasons for buying what they do. Some people value time, others think about safety and health, etc. So every recommendation must go through your "filter," if you will, that helps you decide if the product is right for your family. Things that work for me may not work for you for whatever reason, and vice versa. The question I typically get is, "well what about money. You're supposed to be a good steward of that, too." Yes, I agree. We're supposed to be good stewards of our money, but just because safe and natural products cost more doesn't mean that they are a bad use of my money. More expensive is not equal to bad stewardship. My husband entrusts me with his hard earned money, and I feel that the products I buy are a good use of money. I do try to find good deals when I can, too, though. Counter cleaner--Mrs. Meyer's Clean Day. At our old house, we had tile counters, so I used the counter spray. But at our new house, the counter spray leaves streaks on the solid surface counter tops, so I use the window cleaner for the counter tops. Cutting boards/sanitation -- Good, old fashioned tea tree oil. It smells great, and sanitizes well. I have used this for quite some time in place of lysol and am happy to report that we have never gotten sick from food borne bacteria! This stuff is also great for keeping dish sponges sanitary--just keep your sponges in a bath of water with a few drops of the tea tree oil. Old rags--we rarely use paper towels. A while back we bought some cloth diapers for Isabella, and it came with a set of microfiber bottom wipes that we didn't need. So, they became our kitchen rags. We just use them as we would use a paper towel, and when we're done with them, instead of tossing them in the trash, I just put them in a bowl on top of our dryer. I toss them in the wash when the bowl gets full enough. No problems, no hassle--contrary to what Bounty would like you to believe. Swiffer--My house has a ton of tile floors, so I have to say that I LOVE my swiffer sweeper. I bought a package of cheap microfiber cloths at Sam's. I attach them to the swiffer just like the swiffer cloths, and they work just as well. Again, I can just pull them off and toss them in the wash.
Coconut oil--My kids are allergic to milk and milk products, so we use coconut oil in place of butter or margarine in recipes. It tastes great, plus it has a multitude of great health benefits. This is a highly underrated oil! Spectrum Non-Hydrogenated Shortening--this is made from palm oil, and it's really quite a fantastic shortening. Again, we sometimes use this in baking in the place of butter. But I use this primarily to oil down by bread pans (since I make all of my own bread). I pretty much use this as a replacement for non-stick sprays (to avoid all the propellants, etc.) and I have had a 100% success rate using it. The breads always come out perfect on bottom. Cloth shopping bags--My husband's company sells the big rectangular, flat bottomed cloth bags for $1 each, so I got a bunch of them. Yes, they are better than using up plastic or paper bags. But they are also great for carrying things to and from the car. They're terrific for grocery shopping because so much more can fit so much more in each make. That translates into much faster loading and unloading! Dish Washing Soap--I usually use either Ivory soap or Biokleen's dishwashing soap (whichever I can find cheaper per ounce.) 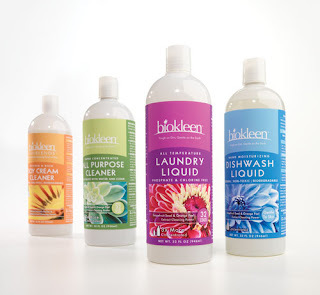 Biokleen's is much more concentrated and comes in bigger bottles. It costs more usually, but you get so much more out of it. But at the same time, I really like the smell of Ivory soap. Counters, Sinks, Showers, Tubs--I use the shower and tube and tile sprays from 7th Generation. They smell decently okay, and they do a good job cleaning. I also use a mop to clean the walls and floors of my shower, and the bottom of my tub. My tubs at my new house are very deep, so using the mop saves a lot of back breaking work. It's effective and time saving! Odor Eliminator-- I'm a huge fan of Biokleen's Bac-Out. 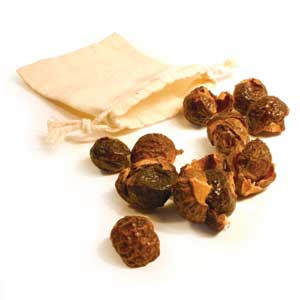 It has natural enzymes and bacteria in it that "eat" away stains and smells. It's perfect for getting rid of stinky odors that can happen in the bathroom. (Have your little boys ever made a mess all around the toilet, and the bathroom smelled like urine for days?! Put a little Bac-Out on it, and it will be much better!) I also use it for soaking soiled clothes until I can get around to washing. Beauty--Coconut Oil! That's our biggest secret around here (not a secret anymore, really.) My kids are bi-racial and have dark skin and curly hair that is always dry. We use coconut oil in the place of lotion. (We have a separate jar we keep in the bathroom, so don't think we coat our skin with the same stuff we cook with!) The oil is great for dry skin, and has really improved the condition of my kid's skin! It's loaded with vitamins and healthy fat that are great for skin. We also use it in place of hair oil for my daughter's super curly hair. Her hair stays soft and moisturized, and it smells great to boot! Makeup--I use mineral makeup. I try not to use the mineral makeup they sell at Wal Mart because it's still loaded with unhealthy chemicals. Although, I have used it in a pinch. I use the real mineral makeup, and it is fabulous. I've never met anyone who wasn't in love with it once they switched. My skin, which has been prone to breakouts since I was 10 or 11 cleared up dramatically. It's a little pricier at the front end, but it lasts for a rediculously long time! Not to mention, you are not exposing yourself to those endocrine disruptors that are oh so common in makeup. Check out the Skin Deep Cosmetic Database for more info! It was a huge help to me! Sunscreen--Last year I read up on sun screen, and I have to say it was quite the eye opening experience. There is quite a debate over whether or not we even need sunscreen, but I won't get into that. For my fair skin and my daughter (who is also fair skinned, yet able to get an awesome tan), we use the Jason Naturals Mineral Block sunscreen. It's just minerals--that's it. Minerals like mica are natural sunblocks and they don't have the nasty side effects of regular sunblock. We love this sunscreen! Soap--Guess what we use...soap! We don't use store bought detergent body soaps. We use good old fashioned real homemade soap. We actually use lye soap. Although it does contain lye, it is balanced out by the lard in the soap, which makes for an incredibly gentle soap. Everyone in our family uses this soap in the shower, and the kids wash their hair with it, too. I'm hoping to learn how to make my own soon, so I can keep our family stocked up! As an added bonus, lye soap has the ability to cut through the scent of natural skin oils, leaving you invisible to bugs. I haven't had a single mosquito bite since I started using lye soap! Detergent/Softener--if you've read my previous blog posts, you'll already know the answer to this one! We no longer use detergents or fabric softeners. We use Soap Nuts. You can read my previous posts to find out more info. We LOVE soap nuts. They do a fantastic job cleaning and leaving clothes fresh with no residue! Bleach--I'm not a fan of chlorine bleach for many reasons, so we use oxygen bleach. You can buy many different brands of oxygen bleach. I've found that OxyClean does work but it has so many additives. I use other brands that are about the same price, but are just plain oxygen bleach without the additives, and it works so much better in my opinion. Okay, so what do you think? Do you use any of these products? Do you have some you'd like to recommend? Let me know! A while back I mentioned that I was going to start a unit this summer that highlights music and art. We got a bit of a late start, but we finally jumped in. The kids are loving it! We are loosely following this lesson plan, in which kids learn about Mendelssohn and Monet. I didn't really have much Mendelssohn on hand, so I switched it up, and we're doing a study on Bach. The kids really love the Brandenburg Concerto discs that I have. We have started listening to them in the car and at home. It's sweet when I ask, "Who are we listening to?" And my little ones will say, "Tach" since they can't say "Bach." 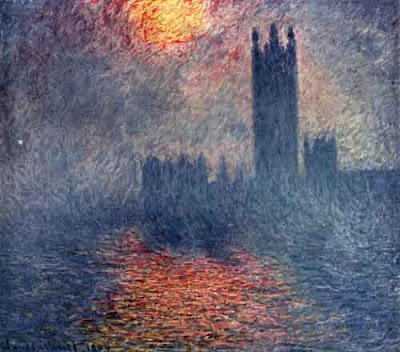 We are, also, still studying Monet. Today we pulled the paints out, and the kids tried their hand at making an impressionist painting. I think they did pretty well! My 4 year old's painting looked more like Van Gogh than Monet, but he still enjoyed it. On top of the art/music unit, we are doing catechism and Bible verse memory. Honestly, until fairly recently, I thought catechism was only for Catholic families. I wasn't aware that there were protestant catechisms available. I was told about an awesome book for little kids called Big Truths for Little Kids, and it's basically the Shorter Catechism with a few words changed to make the vocabulary easier on little ones. It also has great stories that highlight the points in the catechism. We've found that our kids really enjoy memorizing the catechisms, and it has been a great way to dive into theology with our children. We usually memorize Bible verses that have something to do with the questions they have been memorizing. I've been so busy lately doing my projects (and eating watermelon!) that I have fallen behind on writing posts for this blog. I have some great ideas that I want to share on here in the near future. But today, I thought I'd revisit some of my favorite natural living posts that I have written in the past. Keep reading to the bottom, because there is a surprise! I wrote about soap nuts about a month ago, when I first started using them. These little dried berries have made a huge difference in my wash. My clothes come out smelling fresh--not chemically "fresh", but clothesline fresh. And the clothes are all really soft--even things like jeans or towels that usually are a bit "crunchy" with no fabric softener. They are quite cost effective--out to about $.09 per load if you buy them in bulk. The commercial detergent we were using was about $.12 per load, and then you have to add the price of fabric softener to that, too! Frankly, I'd pay more for them just because it's nice to know that I've gotten rid of the harsh, nasty chemicals from my laundry room. But since they're pretty cheap, it's a great deal! I mentioned in my last post about Soap Nuts that I liked the added bonus that my kids can do their own wash now, since there are no chemicals to measure or pour. This has been very nice, and since my kids are fascinated with the little "berries in a bag," they have actually wanted to do their laundry. Yay!! If you are new to my blog, you may not remember this past post. But, needless to say, I got many comments from people intrigued by the fact that I make my own cloth sanitary pads. You can read the original post here (it's on my old blog). I go into the reasons why I use cloth pads, as well as how to make them. It's been almost 2 years now since I switched to cloth from the commercial paper/plastic variety. While it seemed a bit awkward at first, storing them, washing them, etc. has just become routine to me (and to my family). I'll interject a funny story right here: Recently, I was folding laundry, and I had my clean pads on the couch. I went out to an appointment and my mother in law watched the kids. When I got home, my mother in law told me that my daughter had held up one of the pads and said, "Grammy, Momma told me what these were for, and trust me you do not want to know!" Of course she knew what they were, and we all had a great laugh. But the point of the story is that cloth pads are just a normal, everyday part of life around here. I've found that the one thing that makes life so much easier with cloth pads is having a bottle of BacOut on hand to add to the storage water. It elimates odors and the pads come out really clean in the wash. So, that's the one thing that I would add to my previous post. Since my previous discussion of cloth pads, I have had conversations with several women from my church about them. The women usually start by saying "Eww...isn't that gross?" But I'm happy to say that several women have "converted" to cloth pads. The yuck factor does go away as it becomes routine, and if you have chemical sensitivities like I do, you may find great relief from cramping by switching. I surely did! Leave a comment telling me which item you would like to receive, and why. Make sure you fill in the blank with your email address so I can contact you! You can receive two additional entries by signing up to be a follower on my blog.